Have you ever thought about much time & effort your business is currently dedicating to eCommerce product photography? 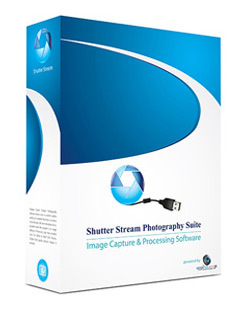 The software integrates camera control (take pictures using your mouse), batch image editing and processing tools to provide users the ultimate product photography workflow solution. In just seconds users are able to capture, edit, resize, process and output web ready images. Shutter Stream is an affordable software that is being used by hundreds of businesses in over 30 countries to save time, money and effort every time an image is captured. All purchases include a 7-day satisfaction money back guarantee. Click here to find out more about why Shutter Stream is the perfect tool for your in-house product photography requirements.